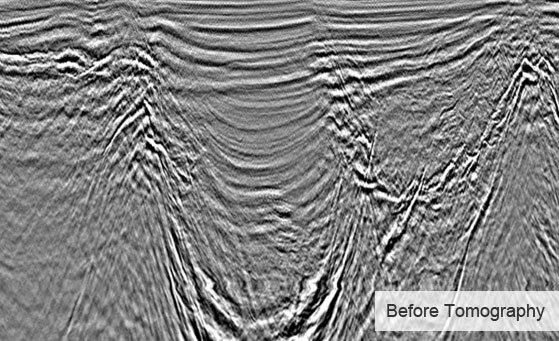 High quality imaging of subsurface structures requires an accurate velocity model. 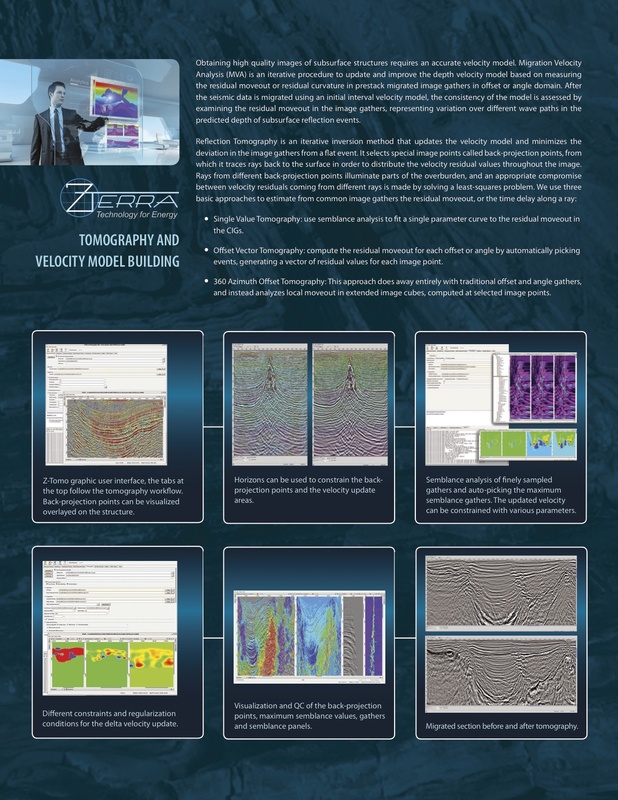 Migration Velocity Analysis (MVA) improves the velocity model associated with a survey in order to create an accurate image of subsurface structures. 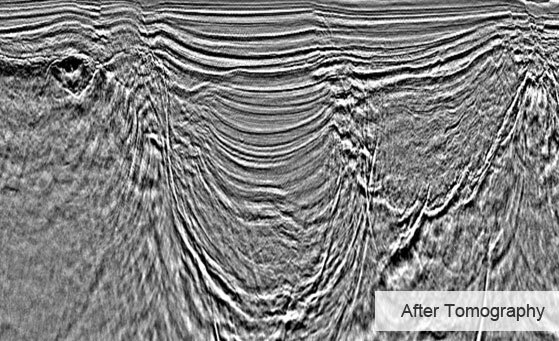 After seismic data has been migrated through its current interval velocity model, the consistency of the model with the data is assessed by examination of the moveout in the common image gathers (CIGs), which represents variation over different wave paths in the predicted depth of subsurface reflection events. Single Value Tomography uses semblance analysis to fit a hyperbolic curve to the residual moveout in the CIGs. Offset Vector Tomography computes the residual moveout for each offset or angle by automatically picking events, generating a vector of residual values for each image point. 360 Azimuth Offset Tomography does away entirely with traditional offset and angle gathers, and instead analyzes local moveout in extended image cubes, computed at selected image points. 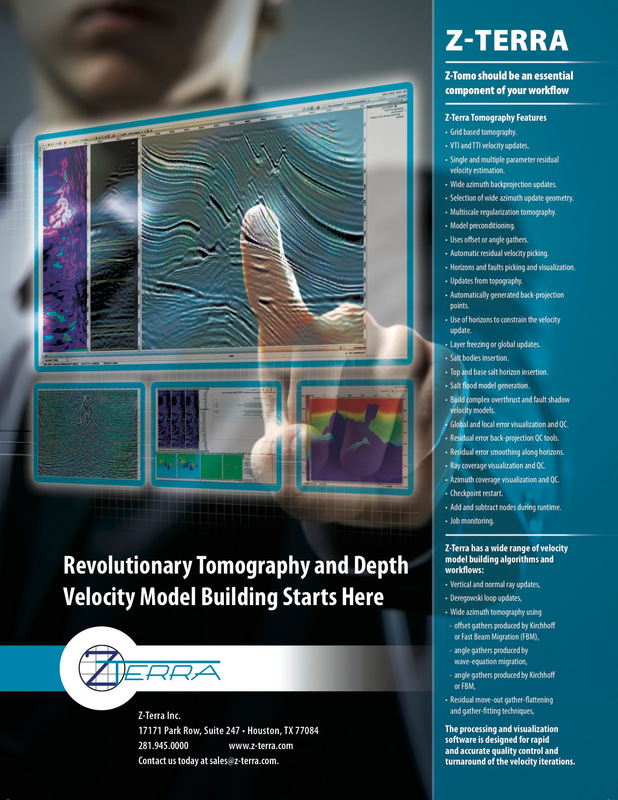 Z-Tomo is fully integrated with Z-Terra’s time and depth imaging algorithms. This allows the user to produce superior results in a wide range of geologic settings. 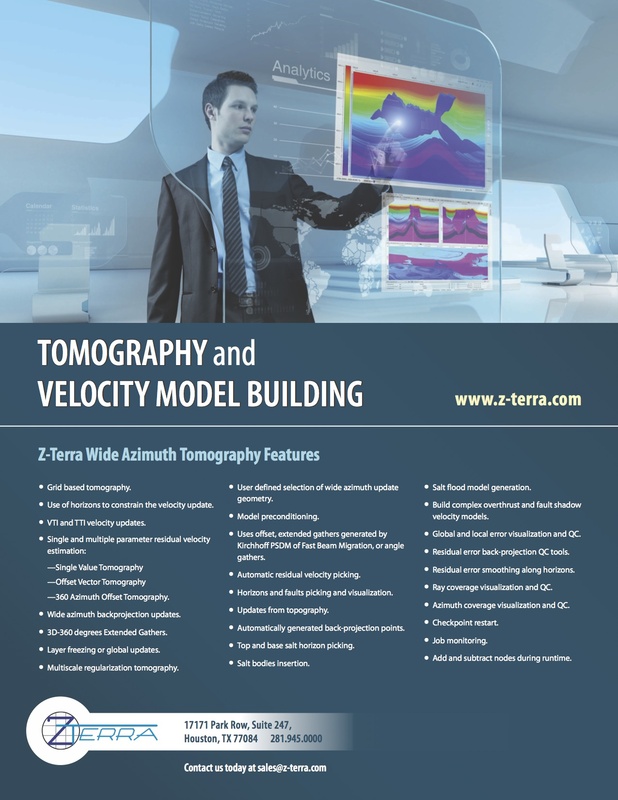 With its revolutionary tomography and depth velocity model building, Z-Tomo should be an essential component of your workflow. The processing and visualization software is designed for rapid and accurate quality control and turnaround of the velocity update iterations.